Royal Caribbean International is ushering in the summer with a family-friendly offer for the Oasis and Allure of the Seas beginning today and running through April 13. 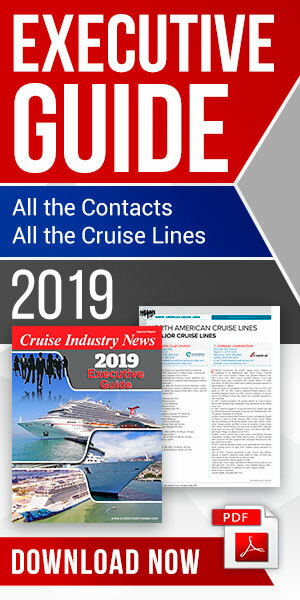 Vacationers booking two or more Central Park- or Boardwalk-view balcony staterooms, that are grouped together, will receive a $200 onboard credit per stateroom, up to a maximum of three staterooms for a total of $600 onboard credits per group. The offer is only valid for new U.S. and Canada individual bookings made from April 6 through April 13 (2011). The offer is valid for new bookings and limited to available inventory and individual bookings. Onboard credits are valid only during the booked sailing. The Oasis and Allure of the Seas sail year-round and round-trip from Port Everglades, on alternating Eastern and a Western Caribbean itineraries, calling at Nassau, St. Maarten and St. Thomas on the Eastern Caribbean sailing, and Cozumel, the recently opened historic Falmouth Port in Jamaica, and Labadee, Royal Caribbean’s private beach destination in Haiti on the Western Caribbean itinerary. The Oasis and Allure of the Seas share the title of the world’s largest and most revolutionary cruise ships. They each span 16 decks, encompass 225,282 gross registered tons, carry 5,400 guests at double occupancy, and feature 2,700 staterooms. They tout Royal Caribbean’s exclusive neighborhood concept of seven distinct themed areas, which include Central Park, Boardwalk, the Royal Promenade, the Pool and Sports Zone, Vitality at Sea Spa and Fitness Center, Entertainment Place and Youth Zone.